As much as I like my writing implements and spend time deliberating over which pen to use, what fountain pen nib is my preference or whether the graphite in a pencil suits my needs, I think I spend a lot more time worrying about what notebook I am using and if I like the paper. Unlike my writing implement deliberations, once I have found something I like I am pretty loyal. 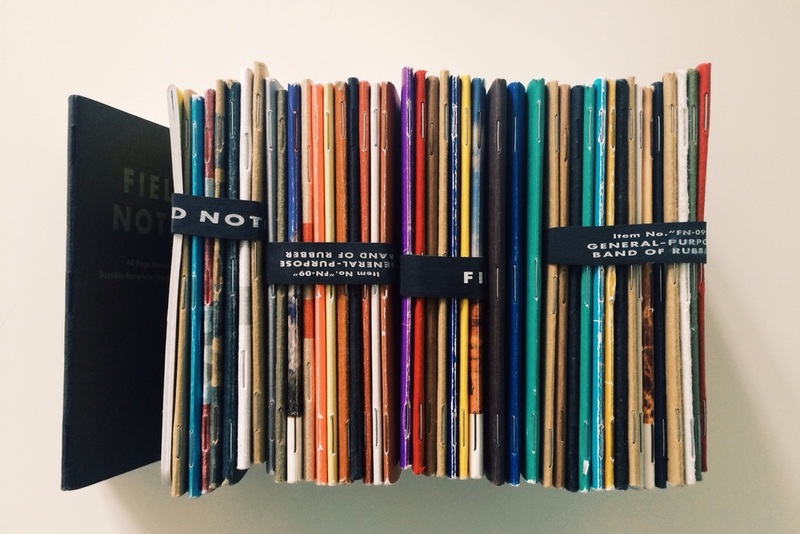 With this in mind I thought I would run through what notebooks I use and how I use them. This is where it all started, where my love of stationery items was rekindled and the deep dark hole of the pen world began. There is always a pocket notebook with me. It even gets thrown in my gym bag, just in case. Most of the time the pocket notebook of choice is a Field Notes but every now and again I do try and test the water with something different. My pocket notebooks are filled with all sorts of useful information that I need on hand for the present. Nothing work related goes in here, this is purely a notebook for me. I have weekly personal to do lists with all things that I want to accomplish that week. I have order information scrawled on random pages, blog post ideas, trip ideas, travel itineraries and lists of things I need. I have lists of books I want to read, notes of things I want to research or look into and on a rare occasion there are doodles. I usually run through one of these pocket notebooks every 3 weeks. One thing I have started to incorporate for the past 6 months is a contents page. I number each page and on the first two pages I note down a short header or description of what I have included on that page. I thought this could be a useless endevour when I first started but I have found this hugely useful. There are times when I need to go back to a used notebook and find a note, or a reminder and its a lot easier with a contents page. I don't have to flick through every page of the notebook, I just open the first two pages and scan the contents to find what I need. 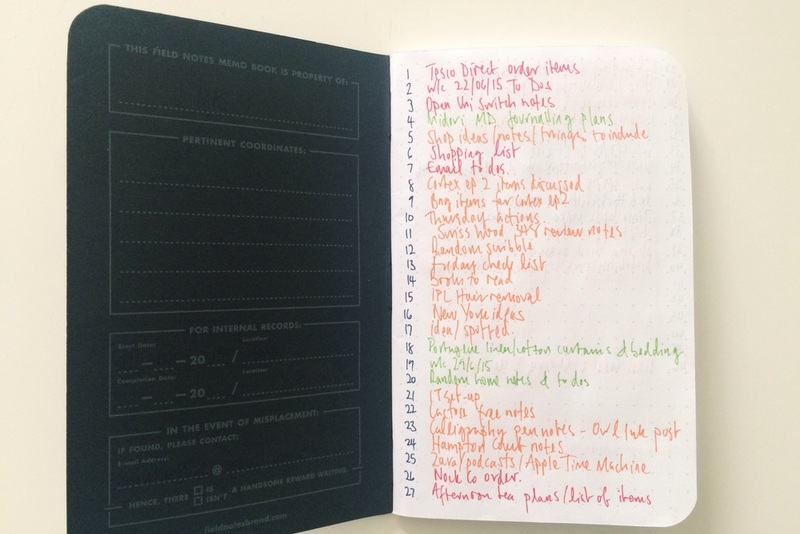 There are a tonne of blog posts out there on the virtues of the pocket notebook and there seems to be an increased interest from mainstream sites about the benefits of the humble notebook. I have carried a pocket notebook for nearly 3 years now and I can't ever see a time when I won't have one with me. I have written about the Hobonichi Techo on The Finer Point a few times (here and here) exploring in detail my opinions on this particular planner. The Hobonichi is a new addition to my notebook use. I find it a useful tool for reflection on my day and also as a way to vent. I use the Hobo solely to write. I am not an artist so there are no drawings and I have not been very inventive with how I use each of the days pages. 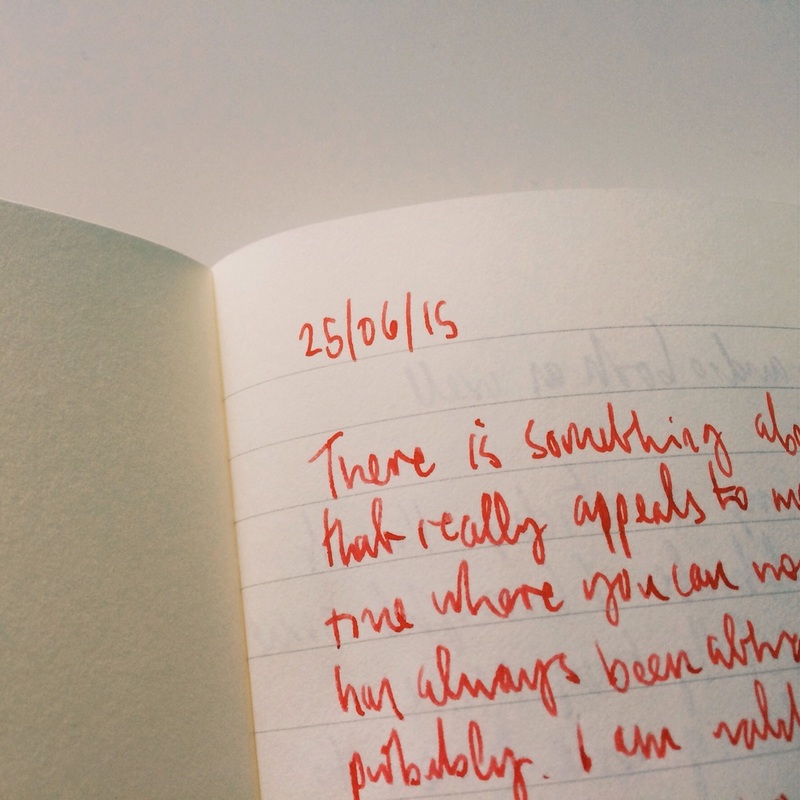 In a way this has become like a journal. I also use the planner to add in ticket stubbs from events I have attended and some small Polaroid style photos. At a later date these seemingly insignificant additions will act as a reminder to the event itself. The video below shows some random snap shots of my Hobonichi Techo pages. This is new edition to my notebook use. I picked this up only last month on my visit to Berlin. I wanted somewhere to write if I felt like it. I wanted a notebook that didn't have a particular purpose or structure, but that was bigger than a pocket notebook and something more suitable for long form writing. Enter the Midori MD A5 notebook. I had been looking at the Midori for some time, wanting to try it out and now I have one in the flesh I can safely say it's beautiful. One frustration I have with the Hobonichi Techo and the way I use it, is sometimes I run out of room. I have pretty big handwriting so the tiny grid paper in the Hobonichi sometimes just isn't enough. This is where the Midori comes in for me. I can write as much or as little as I want. When I use this for journalling I simply add a date and time stamp and away I go. At the same time if I miss a day, no big deal! I don't just use the Midori for journalling I also use it for ideas and stories. I use the same system as with a journal entry, I date the new section, add a note so I can identify it later on and again away I go. The A5 size is just big enough to give me enough room to write and it's also easily transportable if I want to write on the move. The paper is fountain pen friendly which allows me to enjoy the writing experience and take my time over what I am putting down on paper. There are times when I use more notebooks for side projects but I try to limit the amount of books I am using at any one time otherwise it becomes a bit hectic. Each of my notebooks has a specific purpose. They each sit in a different place and are used at different times. I rarely stray away from what I like and what I know works well without a lot of research beforehand. When I find something I like I go all in and make sure I have a good supply on hand. I enjoy using fountain pens, testing out new inks and exploring different pencils, but the paper is the culmination of these things. Paper holds the ideas, it absorbs the ink or graphite and leaves you with evidence of your thoughts, opinions, ideas and feelings at a given time. Paper enhances the experience of writing and because of this I have become more and more interested in the notebooks and paper I am using. If you haven't already you should listen to the Erasable podcast episode 32 where the guys discuss their use of the pocket notebook in detail. It's well worth a listen.